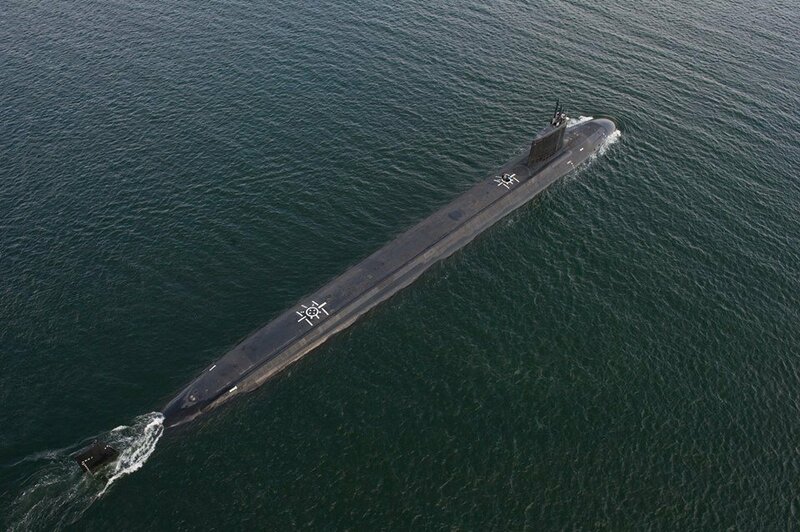 Naval Sea Systems Command has restricted three of the newest Virginia-class submarines (SSN-774) due to questionable welding in piping instrumental in connecting the boats’ nuclear reactors to its propulsion system. According to a statement provided to USNI News on Wednesday, NAVSEA confirmed USS Minnesota (SSN-783), USS North Dakota (SSN-784) and USS John Warner (SSN-785) are currently being inspected for faulty welding after contractor General Dynamics Electric Boat discovered three steam pipe elbows which required repair after “unauthorized and undocumented weld repairs” were performed on the questionable components. The story was first reported by Defense News. The inspections will result in restricted operations for the trio of attack boats — including Warner which was commissioned last week — until cleared. A representative of Electric Boat reached by USNI News on Wednesday night referred all questions to NAVSEA. NAVSEA officials told USNI News the investigation was not related to one mounted last year over third party components found in the bow and the stern of North Dakota. The following is the complete Aug 5, 2015 statement from NAVSEA provided to USNI News. As part of an ongoing investigation into a quality control issue with a supplier, General Dynamics Electric Boat (GDEB) determined that three steam pipe elbows supplied by the vendor in question required additional testing and repair due to unauthorized and undocumented weld repairs having been performed on these elbows. GDEB along with Huntington Ingalls Industries – Newport News Shipbuilding (HII-NNS) are performing additional inspections to bound the issue. Currently, USS MINNESOTA (SSN 783), USS NORTH DAKOTA (SSN 784), and USS JOHN WARNER (SSN 785) are impacted. The Navy is committed to ensuring the safety of its crews and ships. High quality standards for submarine components are an important part of the overall effort to ensure safety.